John David Washington plays real-life Det. Ron Stallworth, a black police officer who successfully infiltrated the Ku Klux Kan, in Spike Lee's latest motion picture, "BlacKkKlansman." The film co-stars Adam Driver ("Star Wars: The Last Jedi") as the Jewish detective who plays "Ron Stallworth" in person at Klan meetings, Laura Harrier ("Spider-Man: Homecoming") as the Black Student Union president who introduces Ron to political activism, and Topher Grace ("War Machine") as David Duke, the National Director/Grand Wizard of the Ku Klux Klan. 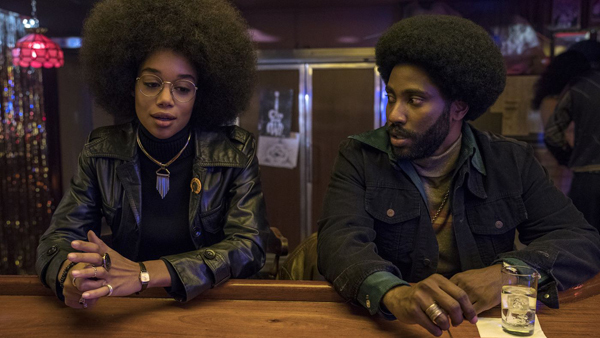 In his review at IGN, William Bibbiani says that "BlacKkKlansman" is "one of Spike Lee's best movies," praising the film's ability to be, at the same time, "a ripping crime thriller, a pointed character-driven drama, and an insightful critical analysis of the cinematic form."